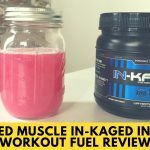 Home » KAGED MUSCLE IN-KAGED Intra-Workout Fuel Review— Fermented BCAAs? 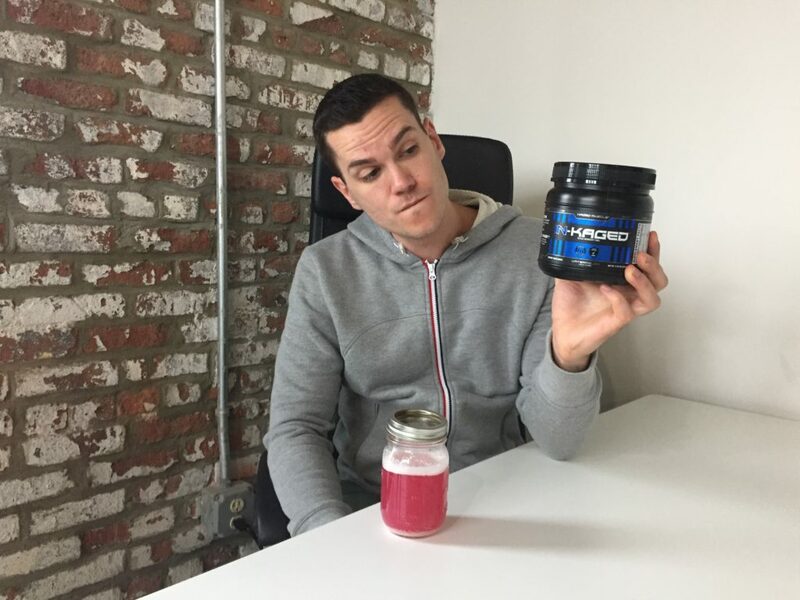 KAGED MUSCLE IN-KAGED Intra-Workout Fuel Review— Fermented BCAAs? 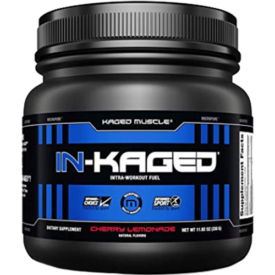 Made in a Good Manufacturing Practices-certified facility in Idaho, the supplements from KAGED MUSCLE include citrulline, carnitine, creatine, and a wide variety of other powders. When we eyed their product line, our attention was immediately drawn to their branch chain amino acids. Why? They’re fermented. 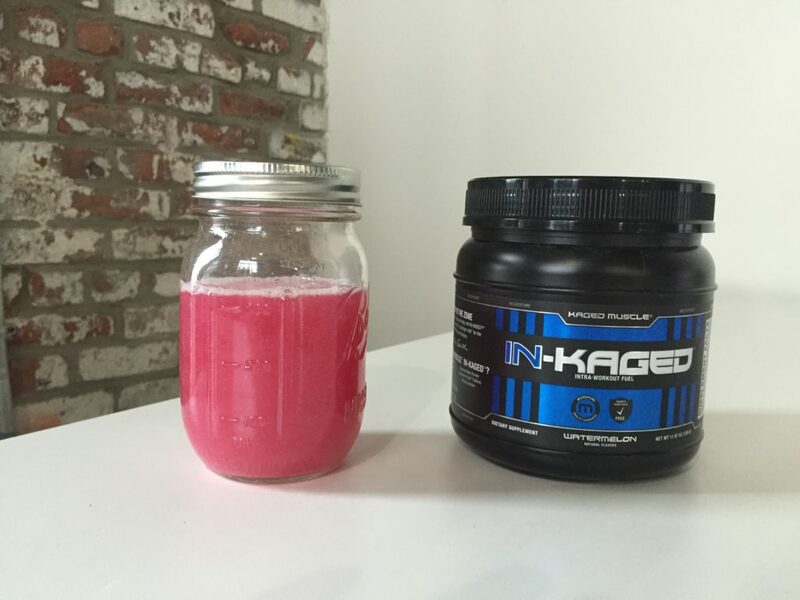 We ordered IN-KAGED, their intra-workout blend, which has a lot more than just fermented BCAAs. Here’s what we learned when we uncaged the watermelon flavor. A BCAA product that's well dosed in ingredients linked to blood flow and focus. One scoop has 10 calories (two grams of carbs) and 5 grams of fermented leucine, isoleucine, and valine in a 2:1:1 ratio. Then there’s the “Endura-Pump Matrix” with 3 grams of fermented citrulline, 1.6 grams of beta alanine (as CarnoSyn), and half a gram of coconut water powder. After that there’s the “Neuro-Energy Matrix,” made of 1 gram of taurine, half a gram of l-tyrosine, and 124 milligrams of caffeine from green coffee beans. I’ll discuss the effects of all these ingredients in the next section. Finally, there’s the miscellaneous ingredients: citric acid for flavoring, natural flavors, beet root extract for color, sea salt, silicon dioxide and calcium silicate (anti-caking agents), stevia (a natural sweetener), sucralose (an artificial sweetener), and sunflower lecithin (for mixability). It’s definitely worth pointing out that there’s no soy and no artificial flavors or colors, though it does contain sucralose. The BCAAs themselves are linked to improved muscle retention, focus, and endurance during a workout. So, why are they fermented? It turns out that this may improve the BCAAs’ dissolution and result in fewer small peptides, which some people worry may elicit an immune response when consumed. The citrulline is also significant, and not just because it’s also fermented. Citrulline is linked to circulatory health and perhaps increased endurance, and in my experience the average BCAA with citrulline contains just one gram — but IN-KAGED has three grams. Now, studies usually show the most benefit with six grams, but this is nonetheless one of the most effective doses of citrulline I’ve seen in a BCAA. The beta-alanine may improve endurance too, and some link it to hypertrophy, though this may just be because people who take it tend to grind out more reps than they would otherwise. The coconut water powder is a source of potassium and magnesium, and while 500mg provides less than 1 percent of the RDI of either mineral, it’s still about half the amount you’ll find in a bottle of Gatorade. Then there’s the “Neuro-Energy Matrix.” The caffeine, of course, provides energy — there’s as much caffeine here as you’ll find in 1.5 cups of coffee. What’s cool is that it also contains a gram of taurine, which helps reduce the jitteriness and lack of focus that can come with a hit of caffeine. Taurine may also improve blood flow and exercise capacity. Finally, the l-tyrosine is also a stimulant. Studies suggest it may help the body handle stress and improve cognition and focus, and there’s 500mg of the stuff, which research shows is probably an effective dose. 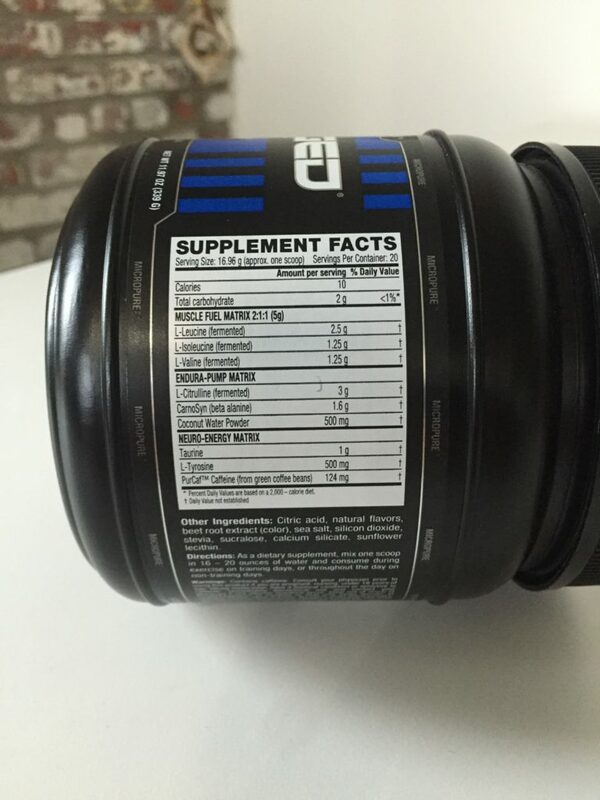 It costs $26 for 20 servings, which comes to $1.30 per serving or 26 cents per gram of BCAAs. That’s pricy, as the average competitor is closer to 11 cents per gram of BCAAs, but then again the average BCAA doesn’t contain all these extra ingredients or caffeine, plus the fermentation presumably adds to the labor involved. All in all, I didn’t consider this to be unreasonably overpriced. I tried the Watermelon flavor, which unsurprisingly tasted like watermelon-flavored candy, but it also tasted like a strawberry Starburst. Not as “pure” a watermelon flavor as most BCAAs but it was definitely pleasant. Note that the tub recommends you mix it with 2 to 4 cups of water (500ml to 1 liter) and I think that’s a good idea. When mixed with just 1.5 cups of water as I did, it was a little strong. There’s a lot to like here. While I’m not totally sold on the necessity of fermenting them, KAGED MUSCLE picked ingredients with a good reputation — there’s none of the iffy supplements like glutamine that don’t have much evidence behind them. The BCAAs and the compounds that accompany them have a lot of interesting research supporting them and they’re present in what appear to be effective dosages, too. Add all that to the fact that it’s extremely low in artificial ingredients and you get a nice hit of caffeine (with taurine to make it a smoother ride) and you’ve got one of my favorite BCAAs.